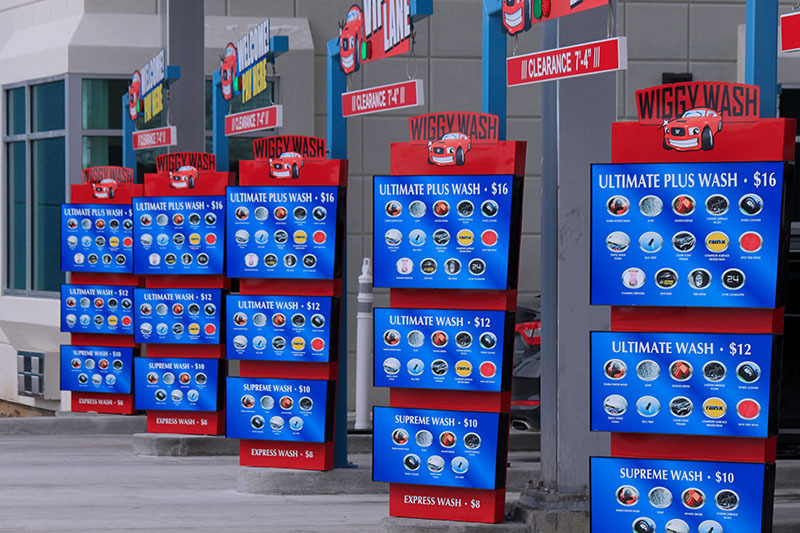 Customers are wigging out over this carwash. 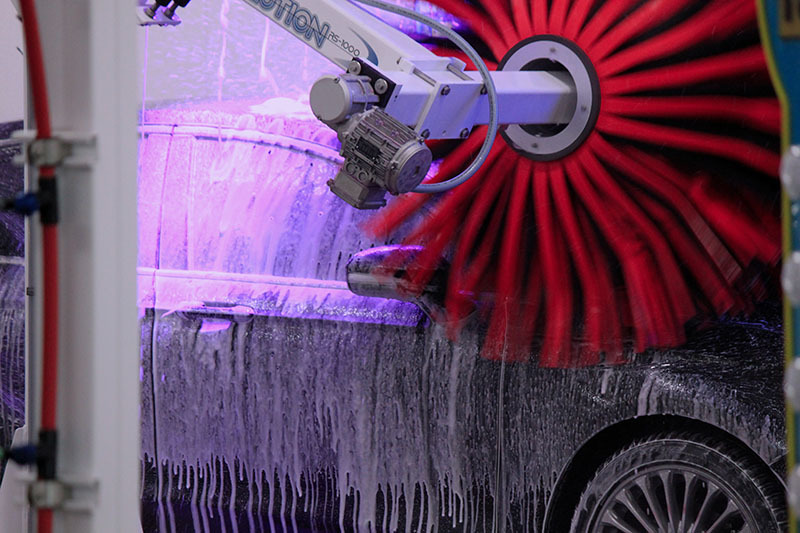 In February, Wiggy Wash made the news by opening the reputedly largest carwash in North America. Impressive as that alone may be, holding this title isn’t all that makes Wiggy Wash special. After all, records of all types are constantly being broken by competition, and being successful is much more than having, for instance, the largest carwash. Wiggy Wash knows this and exemplifies it in every aspect of its business model at all its locations. The idea stuck, and when Wignall talked to Hailstone about it, he learned Hailstone had already considered the property in question. However, because of a non-compete clause in the area with a lube company, they would not be able to build a carwash in that location. 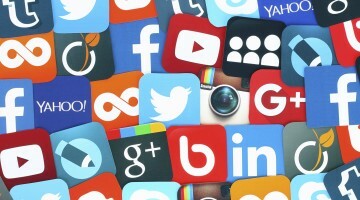 However, the idea never left Wignall’s head, and so he and Hailstone decided to learn more and attend the Car Care World Expo (now known as The Car Wash Show) in Orlando, Florida, the following spring. Hailstone had to deliver a crane to a customer in Texas before heading to Florida, so Wignall ended up getting to the show first. When he went to register, the attendants asked him for the name of his carwash. “I didn’t want to look like the new guy that didn’t know anything. Everybody called me Big Wiggy or Big Wig in the military because I’m 6-foot-4, 270 pounds. ‘Wiggy Wash’ just popped off my tongue,” Wignall recounts. For a spontaneous name, it certainly paid off. After Hailstone arrived and he and Wignall were walking the floor, Wignall says several people approached them, noting how awesome a name Wiggy Wash was, asking if they were franchised and wondering how many locations they had. “We kind of figured, if these professionals think it’s an awesome name, then that must be the name we’re going to go with,” Wignall says. Then, while in a new investors seminar, they learned how much of an untapped market Utah was. Utah was so untapped, in fact, that Wignall and Hailstone didn’t realize how old the industry actually was until then; they had thought professional carwashing was relatively new. Afterwards, Wignall decided to put all his eggs into the carwashing basket. 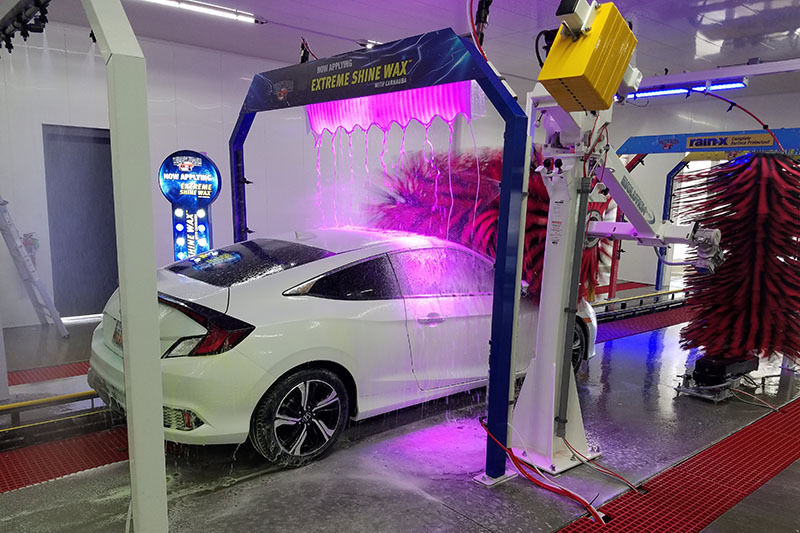 He decided to not only travel the country researching different carwashes with Hailstone, but also to work at a full service carwash. But, while Wignall and Hailstone were still doing research and development, the Great Recession hit. They went to over 50 financial institutions for a loan to start their new carwash. Finally, fortunately, the duo was able to secure a loan and move forward. 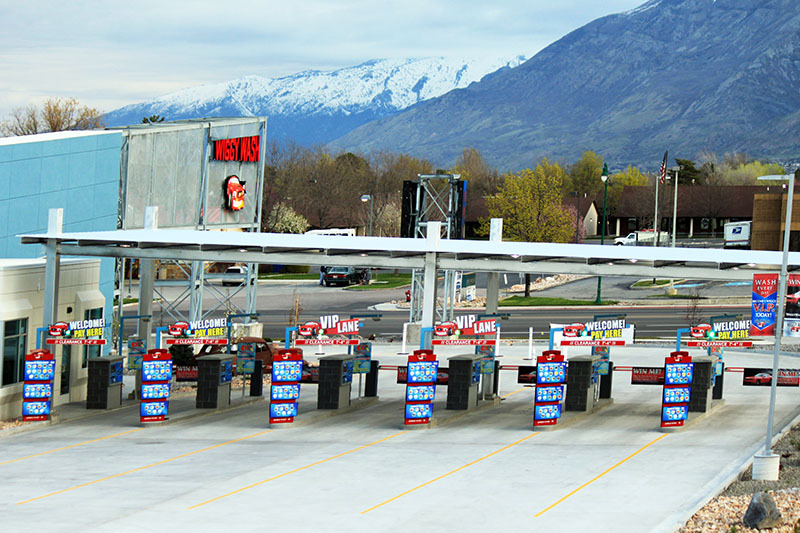 Wignall and Hailstone found a location in Spanish Fork, Utah, and built the first Wiggy Wash. At the time, Wignall says, many people thought they were crazy for building such a large carwash in the middle of a recession, thinking it would be out of business within a matter of months. Even the president of the bank from which they received their loan, Wignall says, thought washing over 345 cars per day — the number they had put on their performance documents — was too optimistic. 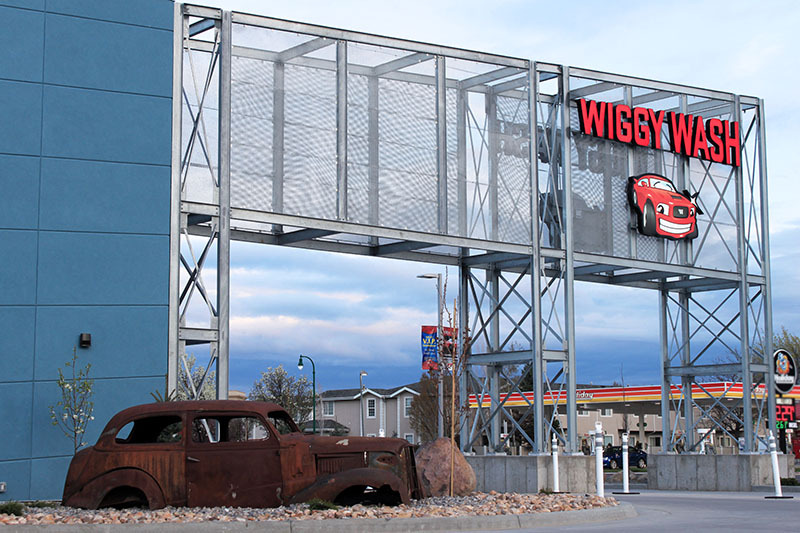 Now, Wiggy Wash has three locations with another two planned for this year. 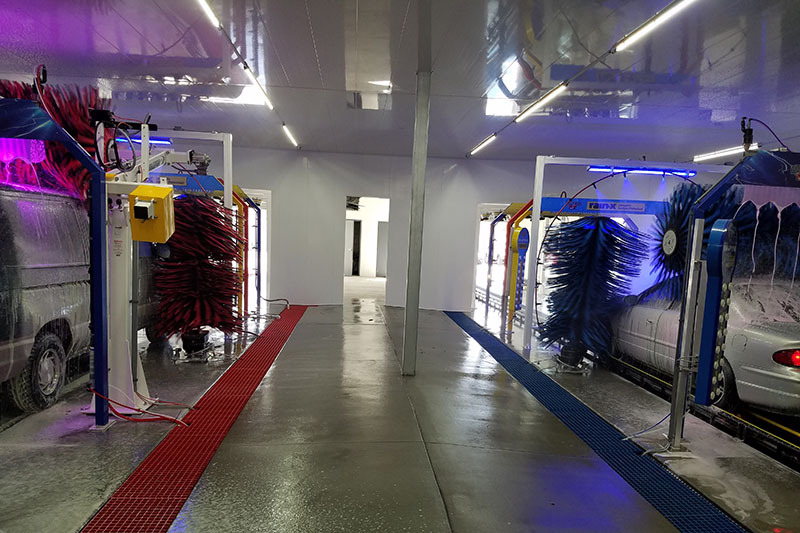 The locations in Spanish Fork and Springville, Utah, are flex-serves, but their brand-new location, which just opened in February, is, according to Wignall, the largest conveyor carwash in the country: a dual, 205-foot tunnel facility. But, why build such a large tunnel and huge facility? “It’s not about ego or anything else,” Wignall states. “We go longer because of the different elements that Utah County has.” Specifically, he notes, a type of clay that appears to be unique to Utah County. Wiggy Wash plans to open two additional new facilities this year. It broke ground in April on another express exterior and hopes to break ground in June on another flex-serve. Wiggy Wash summarizes its mission statement in three words: Quick, quality service. As far as “quick” goes, customers are out of the 205-foot tunnel at the Orem location in two minutes and 10 seconds. “Quality” makes up the greater part of the statement, and much of that is embodied in the customer service. For instance, Wiggy Wash has a rule: Customers never touch a door handle. To that end, employees always open doors to the facility and cars. Wiggy Wash even goes one step further with its customer service. 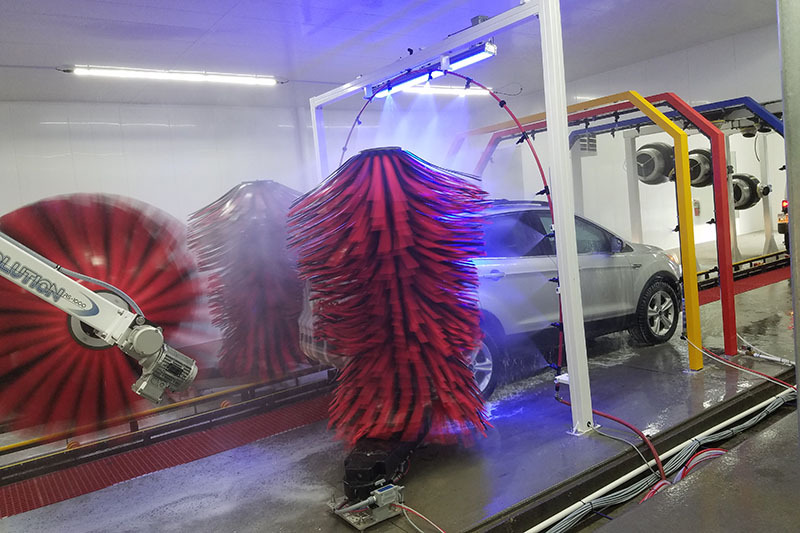 If a part of a car, such as a mirror, is damaged at the wash, Wiggy Wash will offer customers the option of ordering a replacement part through them, regardless of whether it was a pre-existing condition. Wiggy Wash has accounts at all the dealerships, so it knows it can get a better price for parts than a customer can. 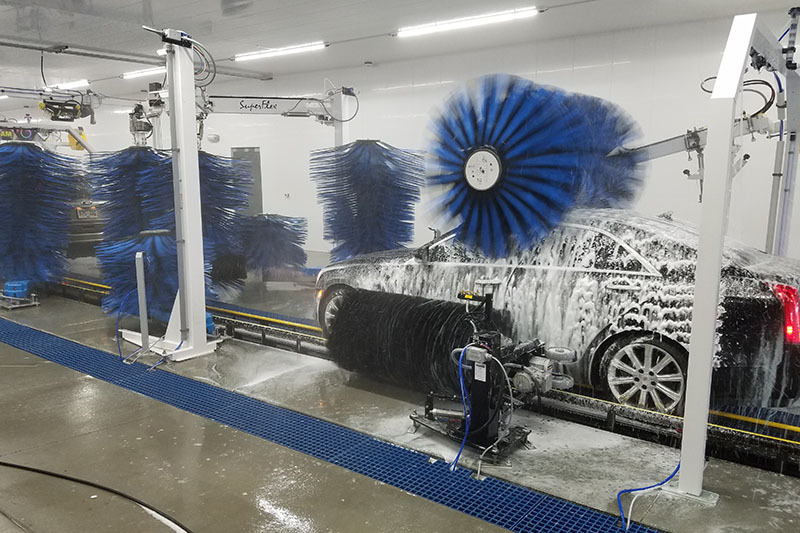 A customer need only pay the cashier for the part; when it arrives, Wiggy Wash will contact the customer, and its full-time maintenance man will install the part for free while other employees clean the inside of the car at no charge. “And, [customers] are so blown away by that type of customer service, it makes them loyal for life,” Wignall notes. But it’s not just adults receiving great customer service — Wiggy Wash was created with kids in mind. For instance, the lobby has a kids’ play area. Wiggy Wash’s logo was also designed to pull in kids. The logo, a red Dodge Challenger-inspired cartoon car named Wiggy, is also the mascot and often walks around the premises entertaining kids or hanging out on Wiggy Wash’s float during local parades and festivities. In fact, in celebration of its grand opening, purchasers of the top package at the Orem location could enter to win a red Dodge Challenger to be given away on Memorial Day. And, Wiggy Wash is also going to be the site of one child’s birthday party — a child who loves Wiggy Wash so much that he made a Wiggy Wash carwash for his first-grade project. But Wiggy Wash isn’t just a play place for kids — it’s a place for educating them as well, whether they’re workers or simply students. 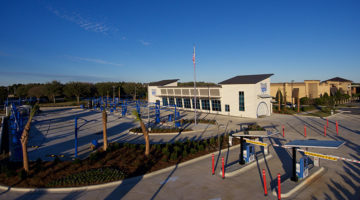 Wiggy Wash also works with elementary school kids to teach them about how clean reclaimed water at the carwash is by giving them tours. Furthermore, Wiggy Wash also educates high school students, especially those who want to do carwashing fundraisers, about how detrimental driveway washing is. For this reason, every Wiggy Wash location has a water reclaim system, and they collect all reject reverse osmosis (RO) water as well. “We use our rejected RO water and all the reclaim water to wash and rinse the vehicles up to the finishing area. The only place that we’re pulling water from the city is in our final spot-free rinse,” Wignall explains. Wiggy Wash only uses hydraulics on the conveyors in the new double-wash setup, and it uses variable frequency drives (VFDs) for every motor, in order to have a slow-amp startup. Furthermore, it uses earth-friendly and biodegradable soaps. “We make sure that we can flush [our soap], that we could take a bucket of it and dump it right there in our own shrubbery, and it wouldn’t do any damage to our shrubbery at all,” Wignall says. Reclaiming its water is also important for living in Utah, which, being dependent on melting snowpack for water throughout the year, is quite susceptible to drought and has in the past put in place severe drought restrictions. All in all, Wignall attests that none of Wiggy Wash’s success would be possible without the partnership between him and Hailstone. “I kind of take care of the front end and Chris takes care of the back end, and it just makes a magical partnership,” he notes. While Wignall deals with the employees, customers and corporate accounts, Hailstone plays a more behind-the-scenes role, but a vital one as the engineer of the carwash. “Chris is one of the most brilliant engineering minds that I know,” Wignall proclaims. Excellent customer service that is aimed not only at adults, but children too, impactful employee relations and a passion for the environment all play a part in what makes Wiggy Wash special. 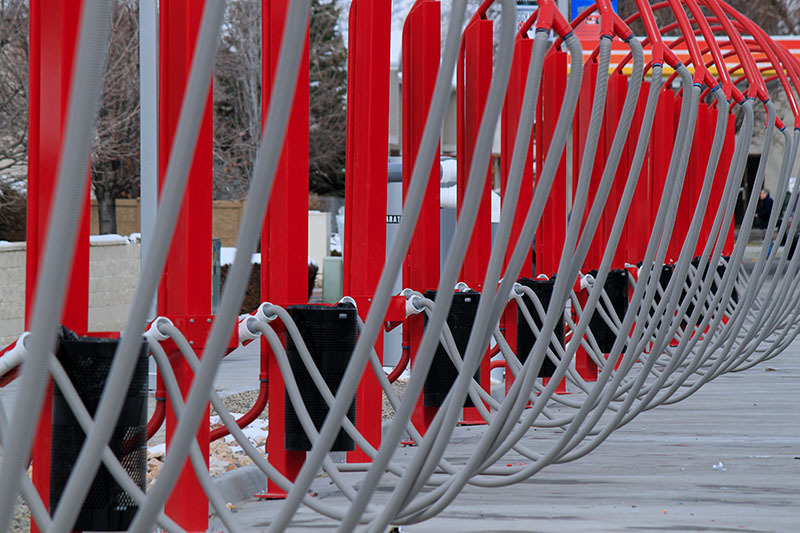 Whether or not its Orem location remains the largest carwash in North America doesn’t matter. Wiggy Wash doesn’t need a record to stand out — it already does.